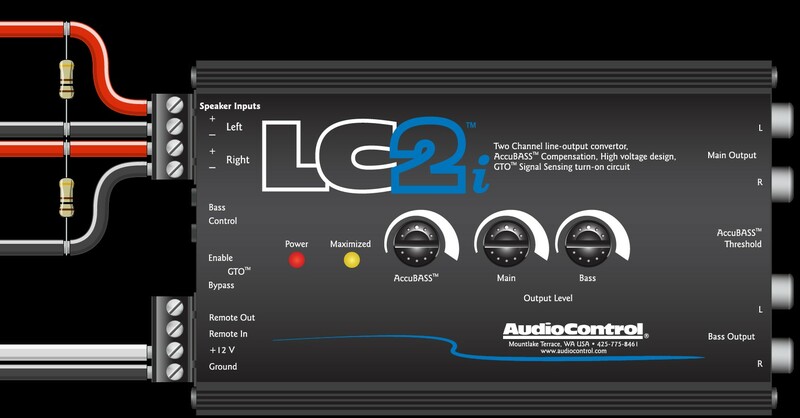 If you’ve checked all your connections, the AudioControl line converter has the power light on, you’ve confirmed that audio is playing out of your factory head unit and the amps are on, BUT you STILL don’t have audio, there is a good chance your factory system is not outputting any audio due to the fact that our Line Converters do not put a load on the speaker outputs. Meaning, since there is no resistance on on the high level speaker lines, the amp doesn’t think that there is a speaker connected to it, so it won’t output a signal. 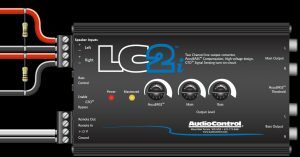 This is a perfect opportunity to plug our brand new AC-LGD! Product page here. It will stabilize your factory system by putting the optimal load on the factory outputs so your system can sound the best it can! Otherwise, if you can’t get some AC-LGD’s quick enough, you can then try the time worn and tested method below. The way to trick the amp into thinking there is a speaker present is to put resistors on the inputs of the line converter. The ideal resistor value is 150 ohm ½ watt. This is low enough not to become a heat sink or stated differently, this blocks the current from passing to the resistor and becoming heat. Using this resistor value improves the longevity of this resistor fix because it doesn’t heat up then cool down repeatedly as such activity tends to stress out components over time. If this value does not work, the other value that tends to work is a 47 ohm 5 or 10 watt resistor. Some cars however need to see a specific load or a load very similar to a speaker – this would be a 2 to 8 ohm resistor. But being that the resistor needs to take the current that’s associated with the this low resistance, you need factor in the wattage/current that will be dumped into that resistor. On average, there is about 25 watts coming from a factory system. To make sure that this resistor fix doesn’t fail after six months, you need to add in a design factor of 2. This brings the wattage handling capacity to 50 watts. Many car shops already have these resistors on hand – they are used in adapting standard exterior lighting to low voltage LED lighting in cars.